Part of our goal with the Deeper devotions is to help you grow closer, and deeper, with God on a weekly basis. These thoughts are put together to challenge, encourage and strengthen you in your walk of faith. 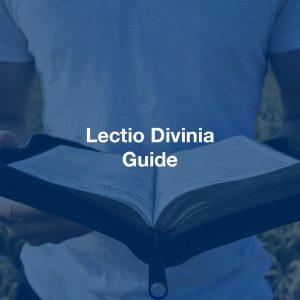 We have always written these devotions ourselves, giving you content that you would not find any place else. However, sometimes we come across a resource, devotion or video that puts our thoughts into words better than we can. So this week, instead of an original Ignite devotion, we wanted to share a video called Booty God Booty by Jon Acuff, author of numerous books and the famous Stuff Christians Like blog, and speaker. May it encourage and challenge you this week. What fights against your belief that you are a child of God? In January of this year, the Ignite Board voted to welcome three new members to help bring vision and direction to the ministry. The decision was made to open new positions on the Ignite Board as a way to grow our ministry, bring in new talent and insight and spread the workload over more individuals. We believe in order for Ignite to grow into the ministry we desire it to be, our team of Board members, Staff members and volunteers needs to be increased. We are excited about the individuals who have joined our team and are looking forward to what this new year will hold for Ignite. David Danaher: Monmouth College graduate and founding student leader of Covenant Groups, Ignite’s predecessor. Jordan Knight: Youth and College Pastor at First Presbyterian Church in Galesburg, IL and Coach of the Ignite group at Carl Sandburg College. Ryan Kerr: Sophomore at Monmouth College and faithful Ignite Monmouth member. Ryan serves as the Student Representative to the Board. There is still one open position that the Board is prayerfully considering filling. To read more about our new Board members, and see who else is on the Ignite team, visit the Team page. Czech Republic: We will have our first team meeting on Monday, January 30 and begin planning our trip. Please pray for the finances to come in and for God to direct our planning. Read more about this trip or make a donation! Romania: In October, Ignite will help lead a mission trip to Bucharest, Romania. Please pray that God guides everything we do, helps us plan the trip and that the finances come in. Read more about this trip! Staff: We are attempting to fundraise a salary to bring President and Visionary Leader, Jason Vana, on full time to push our ministry forward and step through doors God has opened. Please pray for partners in this endeavor. Read more about this decision. There’s an interesting twist to the consequences of original sin buried towards the end of the story of Cain and Abel. At this point in scripture, Adam and Eve have committed the first sin. They disobeyed God, ate of the fruit they were told not to eat, and found themselves kicked out of the garden they had called their home. While they were in Eden, they had walked with God. They spoke with Him. They saw Him in all His glory, felt His presence and were able to reach out and touch Him in a tangible way. He dwelt with them, let them see a side of Himself that no one else has been able to see, and allowed them to stand in His presence. When they sinned, they lost it all. And no walking in God’s presence. At least, that’s what most of us believe. But when you dig into the story of Cain and Abel, that belief is challenged. After Cain offered an unacceptable sacrifice to God, let bitterness and jealousy burn in his heart, killed his brother and received his punishment from God, scripture tells us that he left the presence of God and moved to the land of Nod. Cain left the presence of God, because Cain lived in the presence of God. After being kicked out of Eden. After toiling in the dirt, receiving their punishment and losing everything they had known, Adam and Eve and their children still knew the presence of God. One mistake didn’t keep them from His presence. One sin didn’t push them away. God dwelt with the first humans even after they disobeyed Him and moved outside of Eden. His presence was still available to them. And it’s still available to you. After you’ve made a mistake. After you’ve slipped and stumbled and fell into that same sin you continue to struggle with, God’s presence is still available to you. Because coming into His presence isn’t based on what you do. It isn’t determined on your perfection. You can’t earn your way into His presence, do everything right and somehow make your own way back to God. His presence is accessible only through Christ and the sacrifice He made. And so, my brothers and sisters, as you come face to face with your faults and flaws, may you be reminded that your mistakes don’t expel you from God’s presence. May you find yourself still seeking Him out. And as you repent and return to Him, may you see that His presence is with you always. How can you be reminded of His presence even after you’ve sinned? Whenever I read or teach about the story of Abraham, I tend to start in Genesis 12. It’s there that God shows up and blesses Abraham. It’s there that God commands Abraham to leave his household and his country and everything he knew, and head towards a land God would show him later. It’s where we see the first promise that Abraham will have descendants. Genesis 12 is a powerful portion of text. But Abraham’s story doesn’t start with this God encounter. 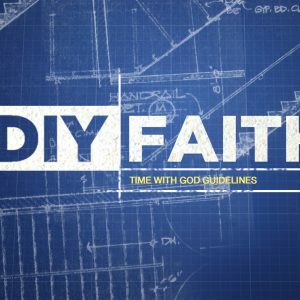 It doesn’t start with his deep faith and immediate obedience. It doesn’t start with a powerful call of God. Abraham’s story starts with him settling. The start of a new year – it always seems to evoke feelings of fresh start. Whatever happened the year before, whatever troubles we got into, mistakes we made, circumstances that seemed to overwhelm us, hardships we faced, whatever laziness we experienced, curve-balls life threw at us or setbacks we endured, the new year brings with it a second chance. A second chance to reach our goals. A second chance to get it right. A second chance to achieve something great. No more holding onto last year’s mistakes. No more falling into last year’s bad habits. No more aimlessly going through the year. A new year is a new start, full of hopes and dreams and a renewed energy to accomplish our goals. We long for it, spend time determining our resolutions and even celebrate the opportunity for a new start. The same is true when we come to Christ. In his letter to the believers in Corinth, Paul tells us that anyone who is in Christ, anyone who has believed in His name, anyone who trusts Him, loves Him and lives his or her life following Him, is a new creation. Not just a cleaned-up version. Not some patched over failure. Not an ugly worm with a make-over. When we trust in Christ, we are a new creation. The faults we experienced before? We are a new creation. The sins we used to struggle with? We are a new creation. The temptations and habits and false identities we once carried? We have been made new. Christ isn’t in the business of makeovers. He isn’t interested in just slapping a new coat of paint on and calling His work done. He’s in the business of restoration. Tearing out the old. Burning away the crap that haunted us for years. Ripping out the old, decaying parts of our lives and giving us something better. Something new. We may still sin. We may still struggle with our old identities. We may still see our old selves creep back in and try to convince us that we haven’t changed. But if you are in Christ, you are a new creation. Your past sins and shame and faults are not your identity anymore. And so, my brothers and sisters, as you journey into this new year, may you be reminded that you are a new creation. May you see God’s restorative work in your life. And may you, as you hold onto the truth that you are a new creation, begin to see your old self fade away, and the person He purposed you to be start shining through. Where do you struggle to see yourself as a new creation? Jordan Knight, the Coach for our Ignite group at Carl Sandburg College, is currently leading a mission trip with some of our Ignite students to New Orleans. They will be spending a week working with the poor, doing children’s ministry and some construction projects. Day 1—Our journey begins. 15 missionaries for Jesus met at 4:30am for devotion, prayer, and singing. By 5:15, we were on the road headed for New Orleans. Unfortunately at 5:30, 8 of our missionaries returned to Galesburg to retrieve all of our money and debit cards that were forgotten at the church. (Way to go, Jordan!) By the time the sun had risen, we had all met up again at Litchfield, and from there continued on our journey. Through darkness, sunshine, darkness again, and rain, we traveled until at 9 pm we arrived at the Canal Street Presbyterian Church—our home for the week. After carrying lots of luggage, sleeping bags, and other miscellaneous items up to the second floor, we inflated our air mattresses and got ready to travel to the French Quarter to bring in the new year. We spent the next half an hour waiting for the street car which never came, so we decided to pack into the van and hope that we could find a parking place down town. We couldn’t– so Jordan dropped us off and parked many blocks away. In the end, he met up with us at Café Du Monde where we enjoyed some beignets and rang in the new year together. After another lengthy drive, we arrived back at the church at 1:30, almost 22 hours after our day began. The day didn’t go exactly as planned, but with God’s help, we did reach our goal. We are thankful for a safe journey and are eager to begin our work here. Please continue to pray for the team as they reach out in New Orleans!